This year's 4,083 design entries were up 12 percent over last year’s competition. Although the addition of a student category accounted for three-fourths of the increase, we were surprised by the uptick in submissions to the brochure and company literature categories, which had been in steady decline for several years. We also saw more entries in business papers (another surprise), posters, packaging and public service work. “In the poster category, I was particularly pleased to see a general move away from the crunchy, grainy, muted-color, gig-poster aesthetic toward a more stylistically varied spectrum of work,” juror Steven Watson says. “Certainly there was a strong showing of retrograde American design, but overall, I was pleased by the stylistic diversity of the work,” juror Jeffrey Keyton says. “At the end of the day, the entries that stood out solved communications objectives in smart and compelling ways, were dialed in on the details, and were aesthetically delightful,” Watson says. I asked the judges about their biggest disappointments with the sub­missions. Their responses focused primarily on style and execution. “I was disappointed with the number of entries that appeared to use style over strong conceptual ideas to solve the fundamental communication challenge,” Bjork says. I also asked the jurors how the perceived role of design is changing. Lastly, I asked jurors about how the role of designers will change in the future. 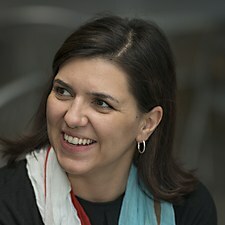 Kelly Bjork is associate partner and executive creative director at VSA Partners, Chicago, Illinois. Bjork joined VSA Partners in 2008 as creative director, leading teams of designers in the development of brand systems, corporate communications and environmental experiences for companies such as IBM, Motorola and First Data. Prior to joining VSA, she worked as a design director for StudioLab, and she has served as programming chair of AIGA Chicago and as director of membership for AIGA Minnesota. 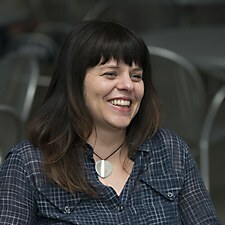 Her work has been recognized by AIGA 365, Communication Arts, Print, Graphis, the One Show and REBRAND 100. She earned a BFA at the University of Wisconsin–Stout. Dora Drimalas is a principal and creative director, along with her husband, Brian Flynn, of Hybrid Design, based in San Francisco. Clients include Apple, Nike, Mohawk Fine Paper, Samsung and Starwood, among many others. Prior to launching Hybrid Design in 2001, Drimalas worked at Nike’s Brand Design Group in Portland, Oregon, and Tolleson Design in San Francisco. She has taught communication design and branding at the California College of Arts and at the Academy of Art University in San Francisco. Her work has been nationally recognized by such design publications as Communication Arts, HOW and Print and featured in several design books. 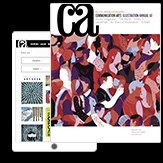 Jay Fletcher, originally from Connecticut, has spent the past fourteen years living and working in Charleston, South Carolina, as a graphic designer and illustrator. After graduating from the Columbus College of Art & Design in 2000, he began his career in the newspaper world, honing his eye and learning what the phrase tight deadlines really means. In 2008, an after-hours freelance career became a full-time design job, and now J Fletcher Design has a stable of clients ranging from the NFL to Greenlitscripts. His work has been featured in Communication Arts, Print, and other international design publications and websites. 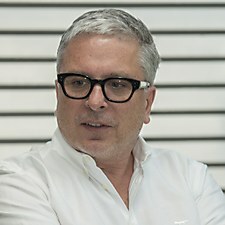 Jeffrey Keyton is head of design at MTV in New York. He is always on the prowl for new approaches and is committed to the reinvention of the MTV brand. 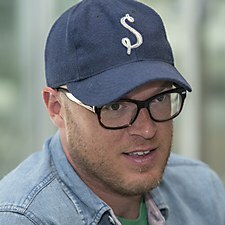 He’s also proud and humbled to work with some of the world’s finest talents, who make MTV visually potent. His work has been recognized by AIGA, the Art Directors Club, Communication Arts and the One Show. A Pratt Institute graduate and a recipient of the Herschel Levit Lifetime Achievement Award, Keyton studied with legendary graphic design and illustration instructor Charles Goslin. Keyton has also taught at the School of Visual Arts. Steven Watson was born on a missile range in New Mexico and grew up in Boston. After stints in Arizona and Utah, he now lives in Seattle. Watson is a founder and co-creative director at Turnstyle, a Seattle-based design and branding firm whose clients include Air Seychelles, the Bill & Melinda Gates Foundation, Microsoft, Nordstrom, Nike, Teague, the Seattle Times and many others. His work has been recognized by AIGA, Communication Arts, D&AD, the Dieline Awards, Graphis, Novum, Print, Red Dot and the Type Directors Club. 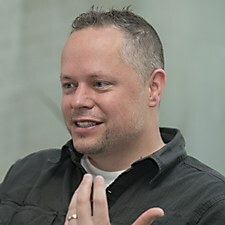 Watson previously served on the board of AIGA Seattle. He earned a BFA in graphic design at Brigham Young University.